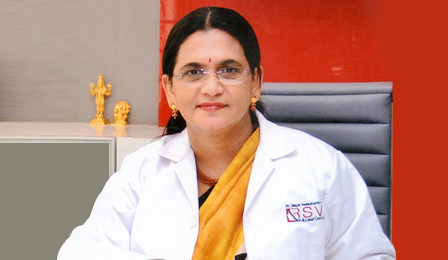 Dr. Maya Vedamurthy is the director of RSV Skin Clinic and is a senior consultant in Apollo Hospitals, Chennai. RSV Skin Clinic runs special clinics such as botox clinic, laser clinic and fillers clinic to cater to the cosmetically conscious population of the society. RSV Skin Clinic has trained staff to educate and counsel patients accordingly. Laboratory and pharmacy services are available to the patients within the same premises. RSV Skin Clinic is one of the most well equipped state-of-the-art clinic for dermatology and aesthetic medicine in Chennai, South India. Dr.Maya is the BEST EVER.She is genuine in what she does. She would only recommend something if its needed for you. I blindly trust her with my face and skin. She knows exactly what I need and has always delivered more than my expectation. I’m indeed blessed to have her as my dermatologist. I actually enjoy coming to Doc Maya’s practise .Everyone is so cheerful and office is so professionally run.i stumbled upon Doc Maya’s knowledge about products and procedures and results are stupendous .Cheers to RSV!! I am very satisfied with the treatment given by Dr.Maya and her team of doctors. Her clinic is The Best Place for skin and hair care.It is a warm friendly atmosphere and treatment is delivered with dedication. Heyy guyz… if u hve any skin relatd issues..pls contact Dr.maya vedamurthy…she s jus mindblowing n curing ur isues regarding ur skin..itz a state-of-the-art clinic in Chennai…I jus heard abt her..but nw strtd experncng it….she s juz lik a god fr so many people thse who hve skinisues.. She is a recipient of Dr. Thambiah’s Gold Medal in dermatology..she jus a awsme doctor. I can say she s one f d best..
To the world’s most Miraculous doctor/ Goddess of Beauty- Even God’s take a lot of time to grant wishes but you turned over a 10 year old scarred damaged face into flawless beauty.I never thought I can get back to my old skin. Additionally you have been blessed with a great team to support you. I am really touched by your treatment. Loads of love and gratitude. I was beyond impressed with my positive experience at Dr.Maya’s clinic. She is one of the best dermatologist I have seen. Dr. Maya is an outstanding doctor who genuinely cares and gives time to think and focus on me as an individual.In a short span my skin is better and healthy and glowing and I can get around better than before. I truly appreciate all the staff too. My experience from my first phone call to the moment I walk out the door is beyond positive. Big thanks to my most favourite Dr.Maya. M.D, D.D; MAMS, FMMC, FAAD, FRCP (Glasgow), FRCP (Edinburg), .